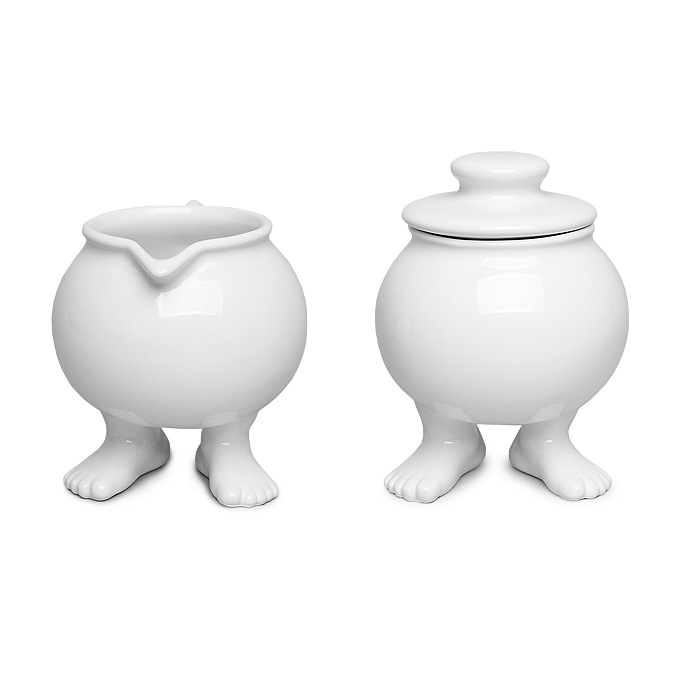 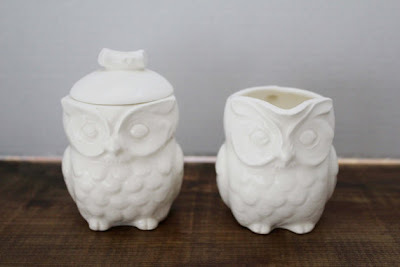 Collection of 'Creative and Cool Sugar and Creamer Sets' from all over the world. 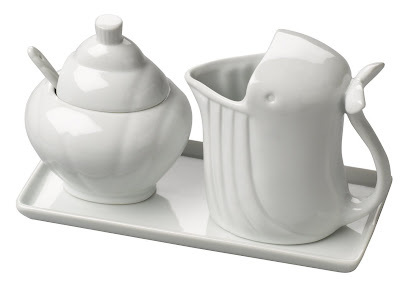 3 - Piece Set Porcelain Sugar and Creamer: This sugar and creamer set is hand painted and made from porcelain. 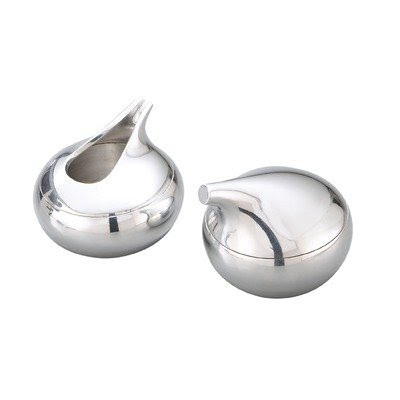 Nambe Kurl Sugar and Creamer Set: These metal alloy pieces resemble miniature curling stones. 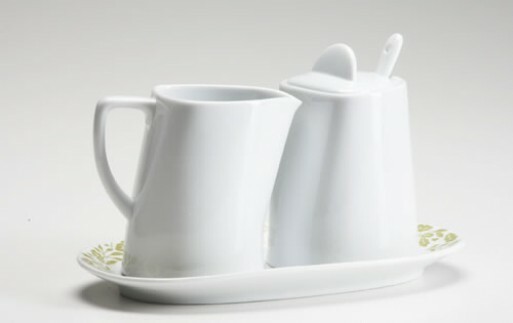 Newton Sugar Creamer Set: The Newton Sugar Creamer Set is developed by Finnish company Tonfisk Design; it combines both sugar and dairy creamer into one piece. 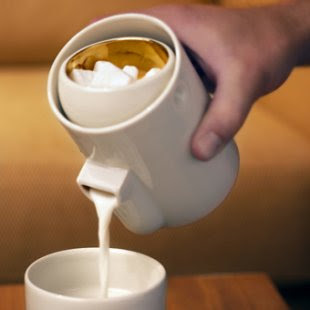 As you pour out your milk, the sugar bowl is balanced on an even plane in the container. 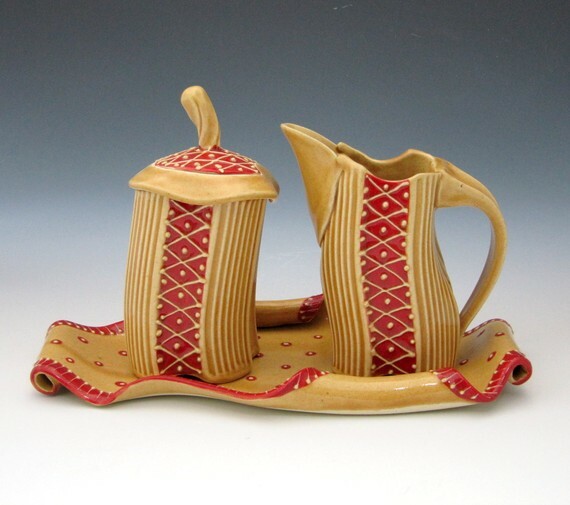 "Tea for Two" Sugar and Creamer Set: The porcelain sugar and creamer are placed together on a single saucer. 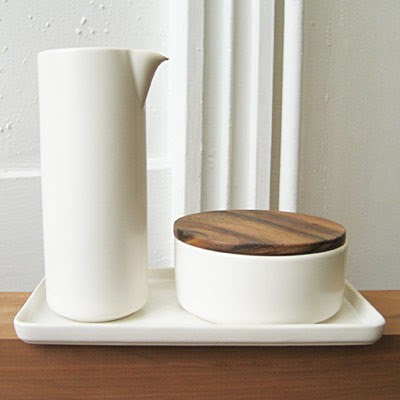 Sugar and Creamer Set by Sagaform: This sugar and creamer set by Sagaform beautifully combines white with wood. 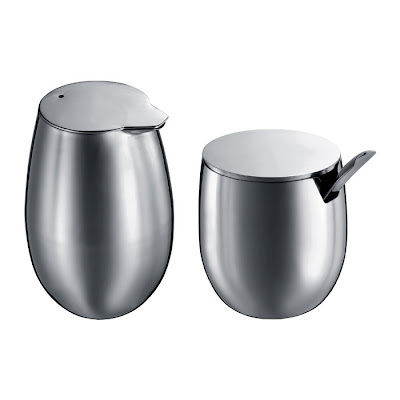 Stainless Steel Sugar and Creamer Set: This double-walled polished chrome sugar and creamer set by Bodum Columbia keeps your cream colder and your sugar dryer. 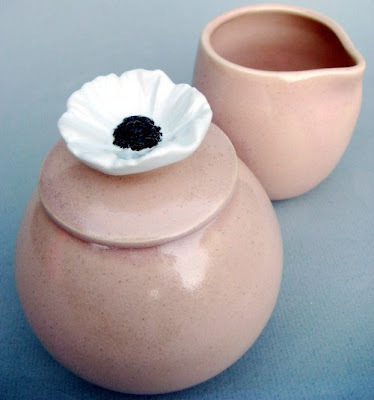 Sugar and Creamer Set by Charan Sachar: This sugar and creamer set with the tray is handmade; while its tray is made from a thin slab of clay altered and decorated to look like an embroidered piece of fabric. 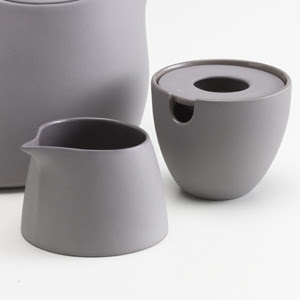 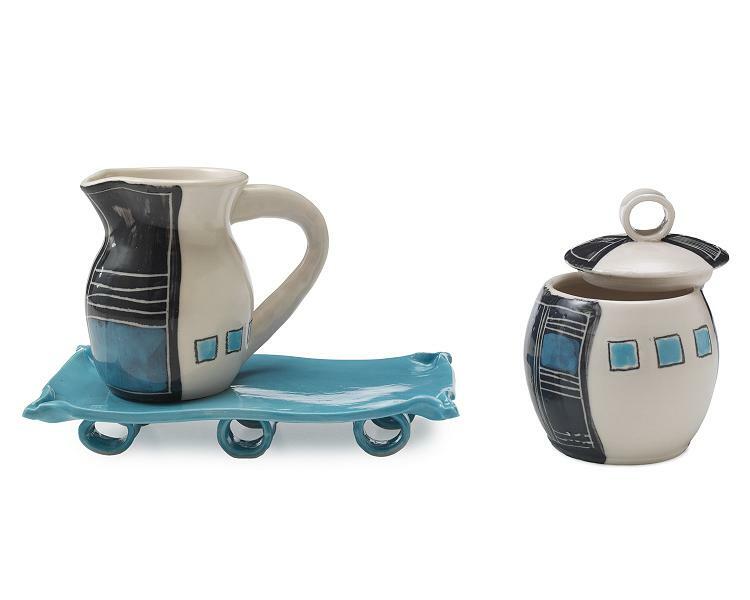 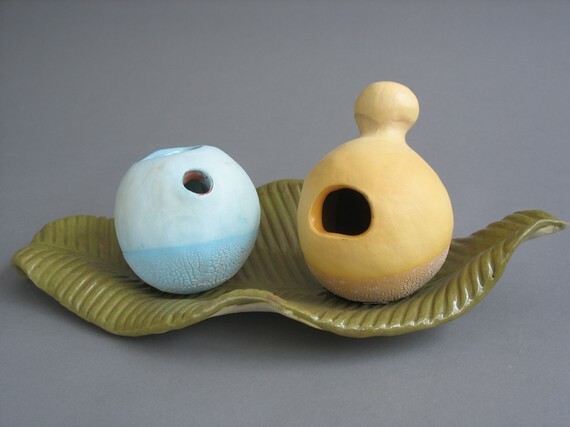 Footed Sugar Bowl and Creamer Set: This unusual sugar bowl and creamer set is the creation of designer Dylan Kendall, who has given legs to her stoneware. Graphis Sugar and Creamer Set: The set has an extreme matte finish with a gloss interior. 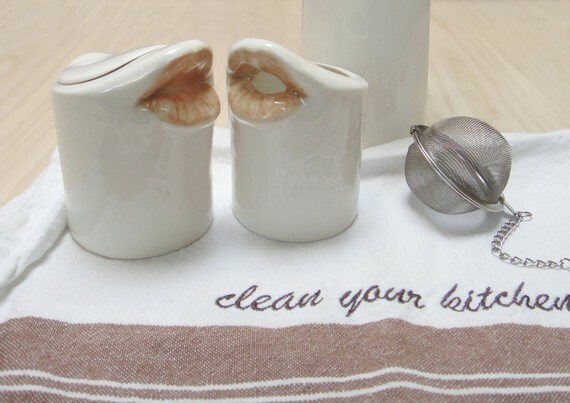 20 Cool and Useful Kitchen Tools - Part 10.